Most wedding magazines focus so intensely on the bridal gown and bridesmaids’ dresses that sometimes the groom suits get lost in the shuffle! The man is half the party after all, and we thought that the nuances involved in picking the most important suit of a man’s life deserved some attention. So keep these tips in mind when deciding on a suit that will have the future Mrs. running to the altar. This may sound like common sense, but it’s really easy to get caught up in the invitations, and the seating, and the catering, and the music, and on and on. 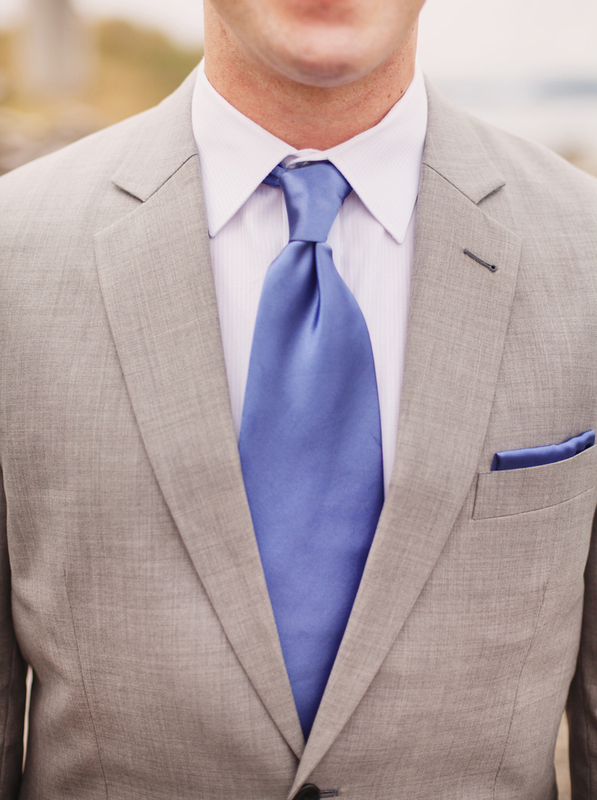 Getting a suit properly tailored to your specific body is vitally important to a successful wedding experience. No one wants to be wearing high water trousers or a jacket that looks like it came out of your grandfathers closet on the big day. 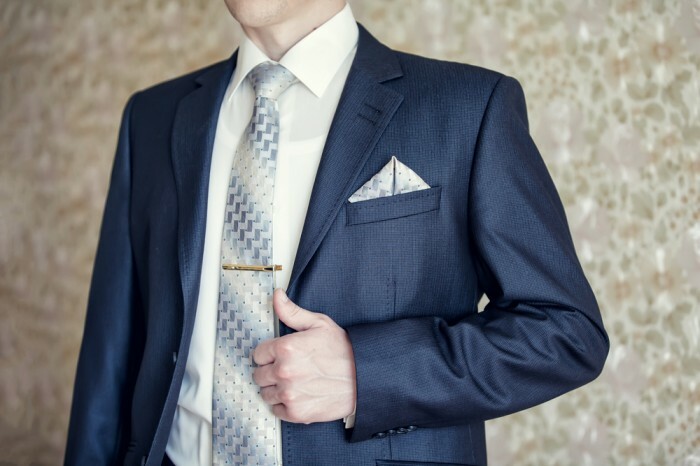 To avoid such a fashion disaster, make sure that you try on any suit at least a week before the wedding so that there is enough time to make the necessary alterations. Today’s formally dressed man goes for simplicity and sophistication over loud and gaudy, but that doesn’t mean there aren’t plenty of opportunities to express yourself. 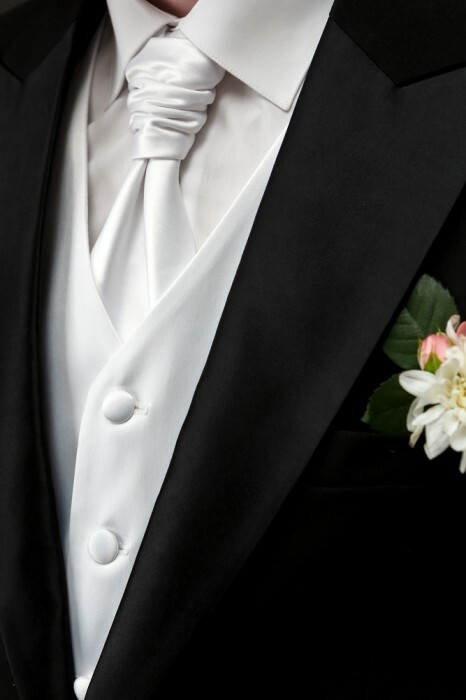 For summer weddings, you may want to opt for a white dinner jacket instead of standard black, or gray pinstripe trousers at a formal daytime affair. Just remember, the man makes the clothes and not the other way around, so wear something that makes you confident and comfortable. Even though most weddings are one of the most formal occasions of a man’s life, groom suits do not have to have a straight jacket level of comfort. No one wants to end the night with a blister on a big toe, or a soaking wet undershirt because you went with a heavy wool coat in August. The best bet in this situation is to engage in a conversation with your formal wear dealer and let them know the specifics of your wedding so that they can direct you to an outfit that will allow you to concentrate on the event and not how uncomfortable your suit is!